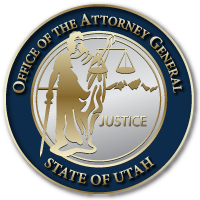 SALT LAKE CITY July 7, 2017 – After a two-day trial, a jury returned guilty verdicts on June 28, 2017, against David Bryce Jones for financially exploiting his elderly father who resides in a local assisted living facility, the Office of the Attorney General’s (OAG) Medicaid Fraud Control Unit (MFCU) announced today. During the trial, Assistant Attorney’s General Robert Morton and Robert Steed presented evidence that Jones used his father’s retirement funds to pursue a risky restaurant business venture and to pay his personal expenses while his father’s bills at the assisted living facility went unpaid. During the trial, agents with the MFCU, Adult Protective Services, and the Office of Public Guardian gave evidence it had obtained a court order 2014 to act as the victim’s guardian and to assure his needs were being met. The jury found Jones guilty of Exploitation of a Vulnerable Adult, a second-degree felony and the Unlawful Dealing of Property by a Fiduciary, also a second-degree felony. Jones will appear before Third District Judge James Blanch on September 14, 2017, for sentencing. Each conviction carries a maximum possible prison term of 1- 15 years. This entry was posted in Recent Posts and tagged David Bryce Jones on July 5, 2017 .